Comprehensively updated BMW 3 Series Gran Turismo to arrive in the final quarter of 2016. Two-tiered range commences with turbo-diesel powered 320d from $70,400*, topped by new turbo-petrol 330i GT from $77,900*. 330i GT boasts new engine with greater power and improved efficiency over outgoing 328i GT. Exterior benefits from modern redesign including new front and rear treatments, 19-inch alloy road wheels, LED lighting and a broader colour palette. Interior enhanced with fresh materials and updated iDrive system. Upgraded standard specification creates improved value proposition, with items such as extended smartphone connectivity (320i GT) and Panorama Glass Roof (330i GT) now fitted as standard. 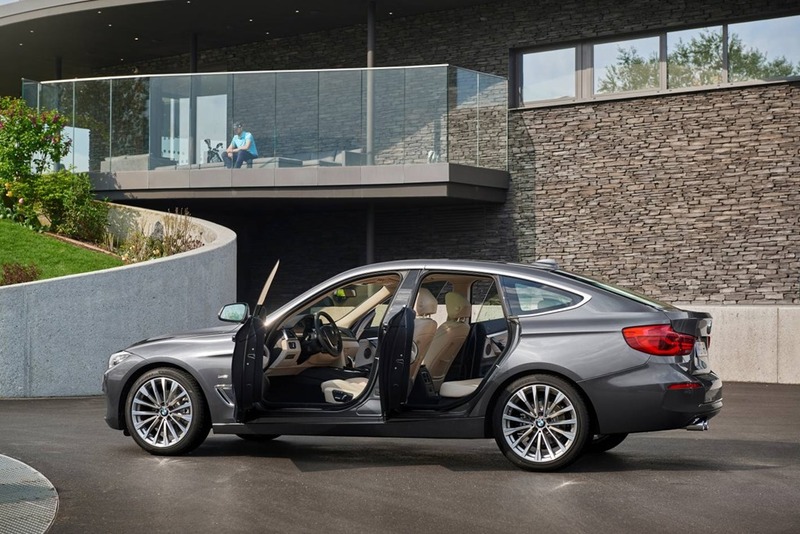 A typically bold design, the BMW 3 Series Gran Turismo has successfully combined the spaciousness of a sedan, the storage flexibility of a wagon and the styling of a coupe since its 2013 introduction. Now, BMW Group Australia welcomes the comprehensively updated 3 Series Gran Turismo range, due in Australia in the final quarter of 2016. 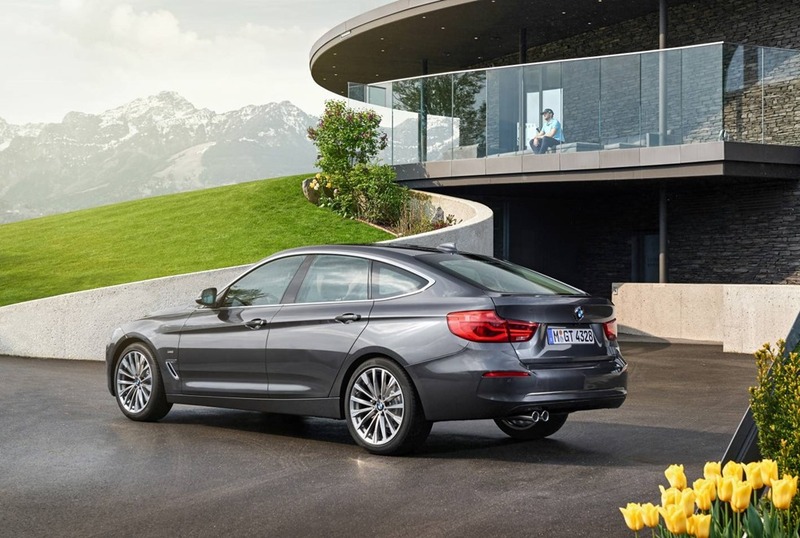 Classified as a medium size vehicle, the BMW 3 Series Gran Turismo has exceeded 130,000 global sales to date, appealing to a wide cross-section of buyers, from expanding families to premium fleet providers. This Life Cycle Impulse (LCI) update is distinguished by key visual details and additional equipment, while BMW engineers have taken the opportunity to introduce a new turbocharged petrol engine to the range with the new 330i Gran Turismo (GT) replacing the 328i GT at the top of the Australian range. It is joined by the turbocharged diesel-powered 320d GT. A modernised interpretation of the original, the updated 3 Series Gran Turismo boasts a new bumper design, incorporating revised air intakes and cleaner lines to showcase the new LED foglights. Bi-LED headlights also offer clear, crisp lighting whether in low or high beam configuration. LED daytime running lights evoke the BMW signature twin round headlight look and LED indicators are also incorporated. Adaptive LEDs are also optionally available. 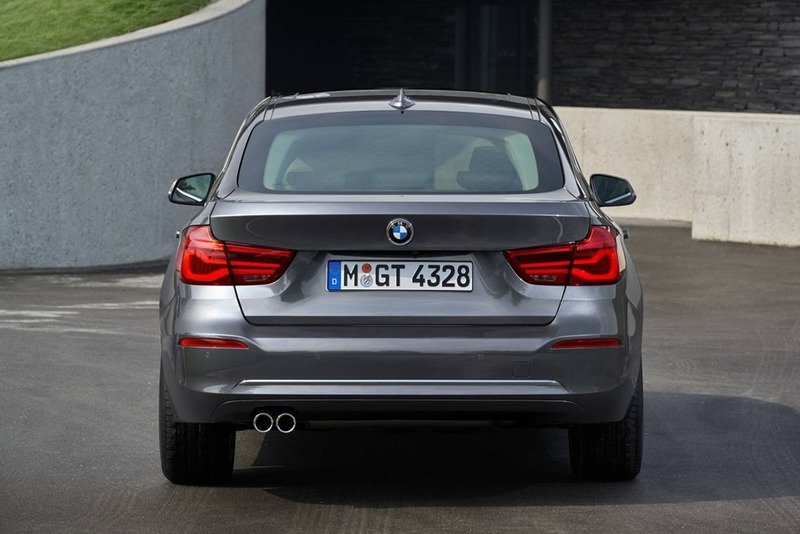 The rear of the new 3 Series Gran Turismo is similarly updated, a revised rear apron design housing updated reflectors above an enlarged-diameter, twin tail-pipe exhaust system (on all variants). L-shaped LED tail lights bring a cleaner look that showcases the lipped tailgate, incorporating an active rear spoiler. This automatically deploys at speeds of over 110km/h to reduce rear-axle lift, and returns seamlessly to the boot lid when speed drops below 70km/h. It can also be manually operated. Two new 19-inch alloy wheel designs further freshen the exterior, while two new metallic paint options – Jatoba and Arctic Grey – take the total colour palette to 12. Lifting the 3 Series Gran Turismo further is a range of stylish interior updates that enhance the high seating position, generous headroom and impressive comfort levels found in the GT’s cabin. A panorama glass sunroof is also standard on the 330i GT variant, further enhancing the stylish cabin ambience of the premium variant. A new user interface for the Navigation System Professional incorporates the latest iDrive 5 technology. High-gloss black surrounds the centre stack and ambient lighting surrounds for a polished finish, while chrome accents around the air vents and controls provide a striking contrast. A 520-litre boot capacity can be accessed via the standard auto tailgate function; a space that swells to 1,600 litres with the 40:20:40 split-fold rear seats are set flat. The standard Adaptive M Suspension further enhances the 3 Series Gran Turismo’s dynamic credentials by offering a driver-selectable level of damping response. This system lowers the vehicle by 10 millimetres and works with the double-joint spring strut front axle and five-link rear axle to provide exceptional control with a comfortable ride. The 320d GT represents the new entry point to the 3 Series Gran Turismo range, and is priced at $70,400*; the same base price as its predecessor. 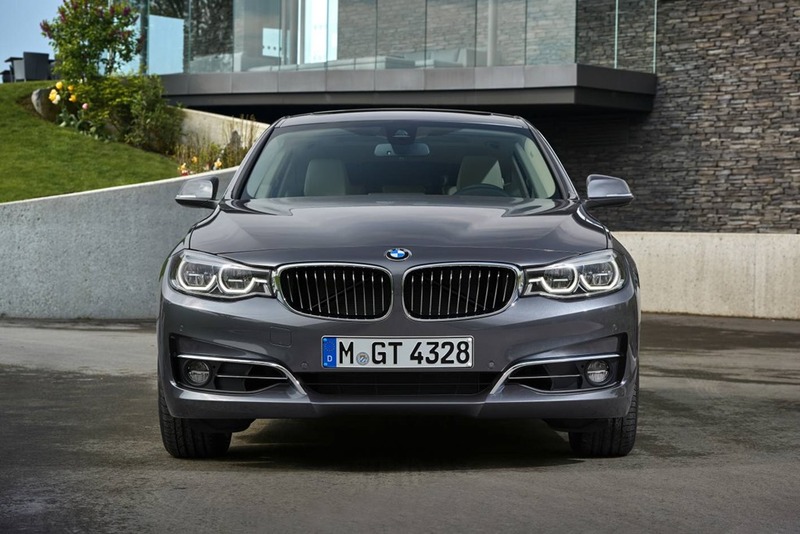 Powered by a 2.0-litre four-cylinder turbocharged diesel engine producing 140kW and 400Nm, the 320d GT can accelerate from standstill to 100km/h n 7.7 seconds, while consuming only 4.5L/100km of fuel and emitting 118g/km CO2 on the combined cycle. Stepping into the BMW 330i GT brings a new turbocharged 2.0-litre petrol engine, generating 185kW (up 5kW on the outgoing 328i GT) and 350Nm. Zero to 100km/h is achieved in only 6.1 seconds, giving the 330i GT sports sedan pace. The key benefit to the new engine is in efficiency, with combined-cycle fuel consumption now 6.2L/100km and CO2 emissions rated at 141g/km; down 0.3L/100km and 11g/km respectively. As standard, the 330i GT is equipped with the Sport Line trim package. Luxury Line, which includes a specific 19-inch alloy wheel and trim finishers, is also available at no extra cost (also available as a cost option on 320d, including Dakota Leather upholstery in a wide range of colours). Further expanding the 3 Series GT’s appeal is a range of packages that combine common options to add further value. For the 320d, the Innovations Package ($2,870 including GST, excluding LCT) adds Active Cruise Control with Stop & Go Function, Parking Assistant, Navigation System Professional and a nine-speaker HiFi Loudspeaker Sound System. The Comfort Package is also available for the 320d, priced at $2,270 (including GST, excluding LCT). This adds Steering Wheel Heating, Comfort Access, Lumbar Support for Driver and Front Passenger, Seat Heating for Driver and Front Passenger and Rear Seat Heating. In 330i, the Innovations Package ($3,500 including GST and LCT) brings Active Cruise Control with Stop & Go Function, Parking Assistant and 16-speaker harman/kardon Surround Sound System. Opting for the 330i Comfort Package ($1,730 including GST and LCT) provides Steering Wheel Heating, Seat Heating for Driver and Front Passenger and Rear Seat Heating. 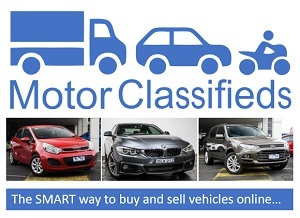 The ever popular M Sport Package is also available for the updated BMW 3 Series Gran Turismo range. BMW also aims to reduce maintenance costs for the 3 Series Gran Turismo, with all maintenance requirements controlled by the Condition Based Servicing (CBS) system.